Do you feel online Google Maps is tooslowshowing you the map? Do you want an easy way to mark andrememberwhere you are? Do you need a list of streets where you are?Youdon't want to carry around a big unwieldy paper map? Tiredofhaving the paper map blown to pieces by the wind every time youtryto figure out where you are and where you need to go? The mobile streetmaps are for you! All the map data is loadedonyour phone before you leave your home, so can you be onthestreets, offline, and still know everything about the area youarein, and locate yourself or any street in the city. You don'tneedany network connection at all once the application is installedonyour phone – no WiFi, no 3G, no GPRS! This is a complete street level map for your phone. Theentiremap is stored on your phone, so it works where you have noaccessto the Internet - it works where Google Maps is inaccessible.Thisprevents expensive data roaming charges by loading all the mapdatato your phone before you leave home. You can turn off allnetworkfunctions and still be able to find your way around. Letsyou findall streets, and many useful locations such as ATM's,parkings,museums, and many others. Do you feel online Google Maps is too slowshowing you the map? Do you want an easy way to mark and rememberwhere you are? Do you need a list of streets where you are? Youdon't want to carry around a big unwieldy paper map? Tired ofhaving the paper map blown to pieces by the wind every time you tryto figure out where you are and where you need to go?The mobile streetmaps are for you! All the map data is loaded onyour phone before you leave your home, so can you be on thestreets, offline, and still know everything about the area you arein, and locate yourself or any street in the city. You don't needany network connection at all once the application is installed onyour phone – no WiFi, no 3G, no GPRS!This is a complete street level map for your phone. The entire mapis stored on your phone, so it works where you have no access tothe Internet - it works where Google Maps is inaccessible. Thisprevents expensive data roaming charges by loading all the map datato your phone before you leave home. You can turn off all networkfunctions and still be able to find your way around. 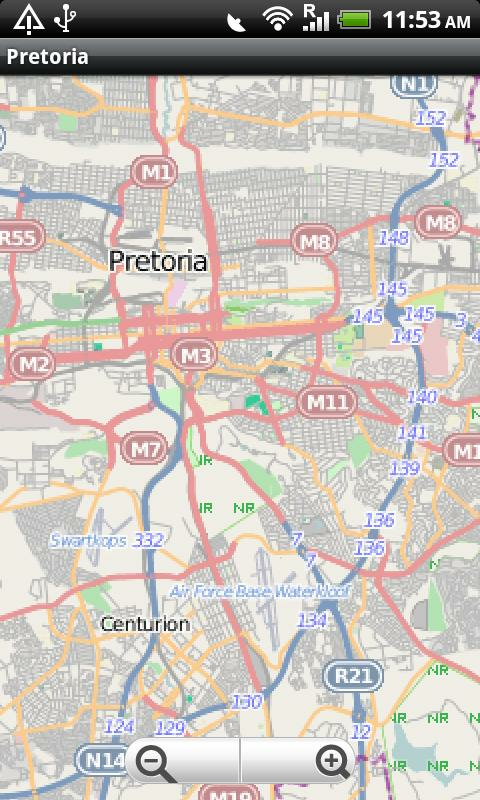 Lets you findall streets, and many useful locations such as ATM's, parkings,museums, and many others.Map data (c) OpenStreetMap and contributors, CC-BY-SA. Do you feel online Google Maps is too slowshowing you the map? Do you want an easy way to mark and rememberwhere you are? Do you need a list of streets where you are? Youdon't want to carry around a big unwieldy paper map? Tired ofhaving the paper map blown to pieces by the wind every time you tryto figure out where you are and where you need to go?The mobile streetmaps are for you! All the map data is loaded onyour phone before you leave your home, so can you be on thestreets, offline, and still know everything about the area you arein, and locate yourself or any street in the city. You don't needany network connection at all once the application is installed onyour phone – no WiFi, no 3G, no GPRS!This is a complete street level map for your phone. The entiremap is stored on your phone, so it works where you have no accessto the Internet - it works where Google Maps is inaccessible. Thisprevents expensive data roaming charges by loading all the map datato your phone before you leave home. You can turn off all networkfunctions and still be able to find your way around. 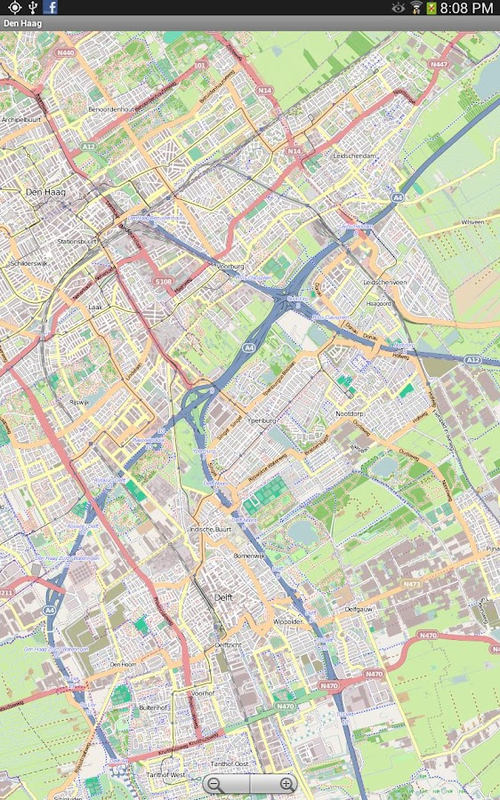 Lets you findall streets, and many useful locations such as ATM's, parkings,museums, and many others.Map data (c) OpenStreetMap and contributors, CC-BY-SA. Do you feel online Google Maps is tooslowshowing you the map? Do you want an easy way to mark andrememberwhere you are? Do you need a list of streets where you are?Youdon't want to carry around a big unwieldy paper map? Tiredofhaving the paper map blown to pieces by the wind every time youtryto figure out where you are and where you need to go?The mobile streetmaps are for you! All the map data is loadedonyour phone before you leave your home, so can you be onthestreets, offline, and still know everything about the area youarein, and locate yourself or any street in the city. You don'tneedany network connection at all once the application is installedonyour phone – no WiFi, no 3G, no GPRS!This is a complete street level map for your phone. Theentiremap is stored on your phone, so it works where you have noaccessto the Internet - it works where Google Maps is inaccessible.Thisprevents expensive data roaming charges by loading all the mapdatato your phone before you leave home. You can turn off allnetworkfunctions and still be able to find your way around. Letsyou findall streets, and many useful locations such as ATM's,parkings,museums, and many others.Map data (c) OpenStreetMap and contributors, CC-BY-SA. This travel guide provides you with information about the bestattractions in Pretoria, South Africa. 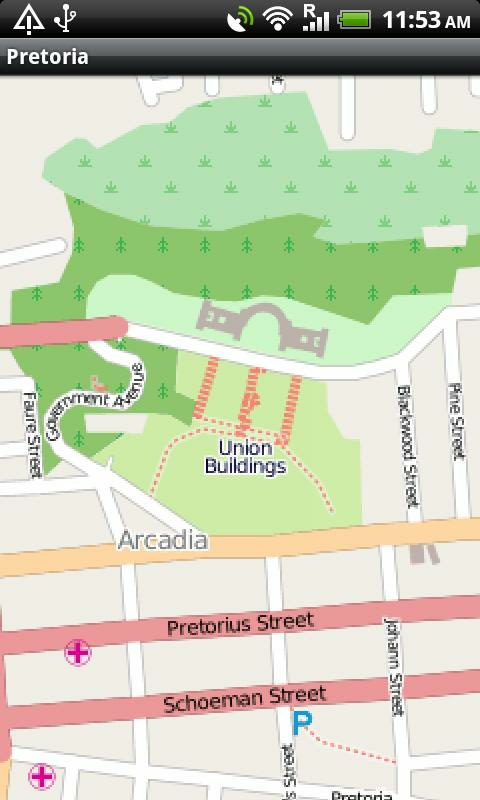 Moreover, you do not needany internet connection on your phone in order to use the off-linemap (provided by openstreetmap.org) that shows the exact locationof the best attractions. Easy to navigate, the off-line map alsoprovides you with detailed street level information and with GPSenabled, just touch the "Where am I?" button to find out your exactlocation on the map.